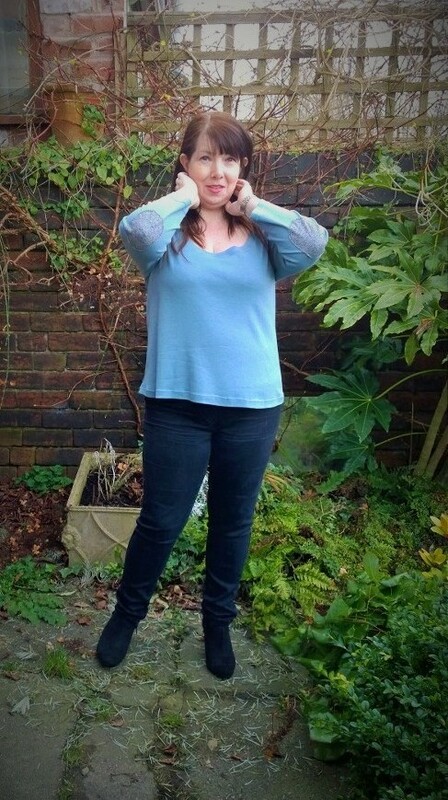 A quick post (for me anyway) about some quick makes; a few more wardrobe basics which are both free patterns! I’ve made quite a few Plantains and Hemlocks before and they have all been well worn, some so well worn they are starting to look a bit tired so I thought the time had come to replenish them. The Deer and Doe Plantain has a lovely shape to it: fitted around the shoulders and bust before gently flaring out through the waist and skimming the hips. I made a size 44, shortened the body by an inch and the sleeves by 4 inches. 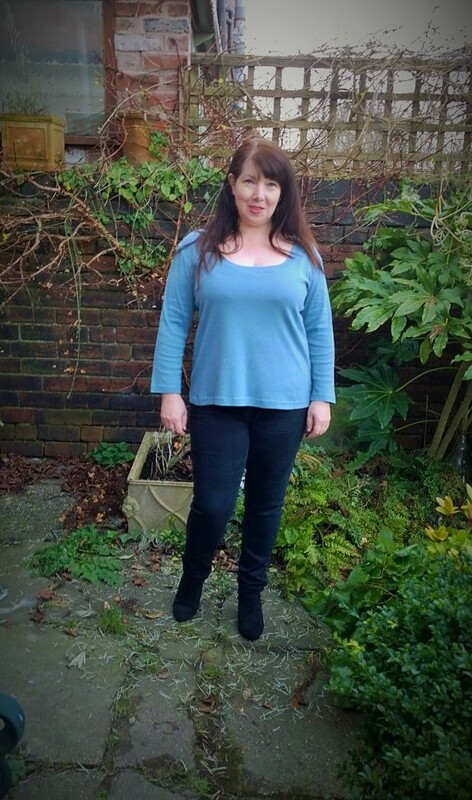 The duck egg blue is a beautifully soft cotton jersey but has quite a bit of stretch to it (around 80%) It did misbehave and stretched out a bit when I was twin needling the neckline but with a couple of washes and a stern pressing it no longer seems noticeable. 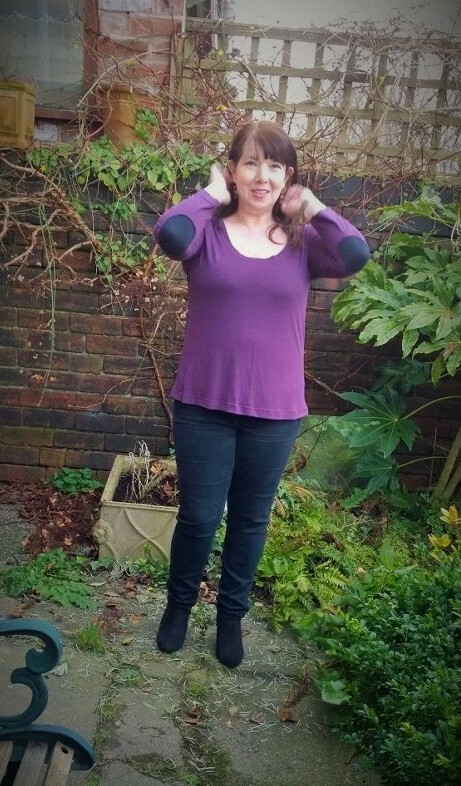 The purple is a finer knit with not as much stretch (about 40%) and was a delight to sew. I cut and adjusted exactly the same as the blue. I think the fit of this one is better and a truer representation of the pattern. On to the Hemlock, it’s a lot more angular that the plantain and in my opinion perfect for stripes. It comes in one size; Bust 44.5 inch and waist 46.5 inch and is drafted for a relaxed fit, but would be easy to size up or down though. I shortened the body by two inches. 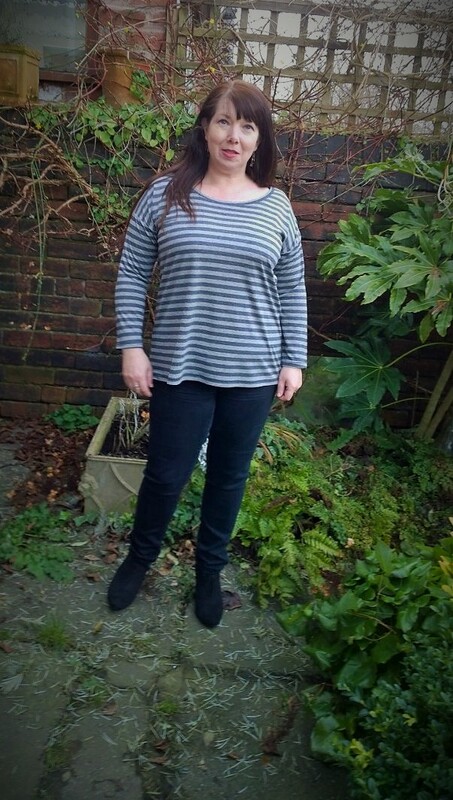 The first is a fine grey stripey knit with around 50% stretch. 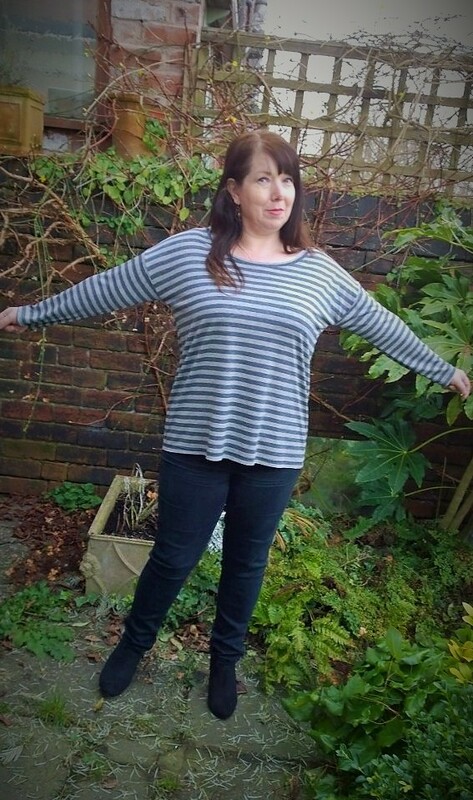 My second hemlock is a more medium weight jersey with a lot less stretch (20%) even though this is less than the pattern recommends I quite like the effect, the high neckline gives it a bit of a Breton feel. The stripes are doing something really weird in this picture! I sewed all these up on my overlocker and used a double needle for the hem, sleeves and topstitching around the neckband. I used a narrow zig zag stitch to attach the elbow patches as it gives them a bit of extra stretch and I kinda like the look of it. I seem to be on a roll with stocking up on everyday basics, there is a kind of instant gratification in being able to sew something up in a matter of hours rather than days. I’m really looking forward to doing something a little more involved though. 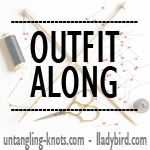 The plan is to get the basics out of the way and then I can spend all my time on Springtime sewing! This entry was posted in Finished Sewing Projects and tagged deer and doe plantain, free t-shirt sewing pattern, grainline hemlock, hemlock t-shirt, plantain t-shirt. Bookmark the permalink. These all look great!! I really want a striped Hemlock now! Thanks, I think everyone should have a Stripey Hemlock! These all look great! 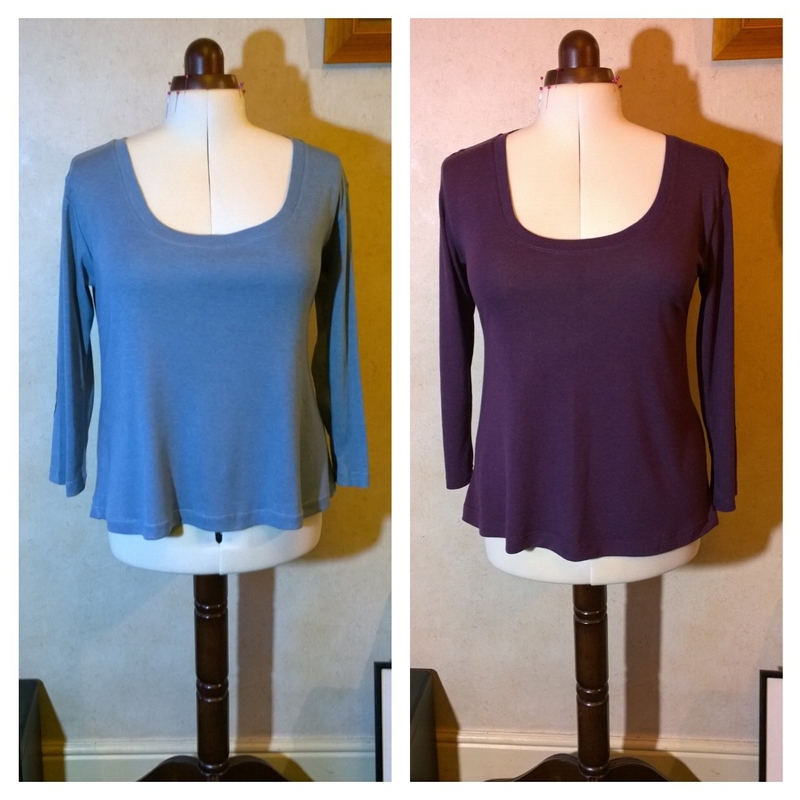 I have made both but it was when I was just starting to sew with knits. I am not a fan of the fabrics that I used for mine and I definitely want to revisit them both with better fabric. I definitely need a striped Hemlock! It’s interesting how fabric choice makes such a difference, I’ve definitely worn some more than others and it’s all been down to fabric choice. I love the Breton ! I keep seeing lots of them around and sooooo Audrey!! 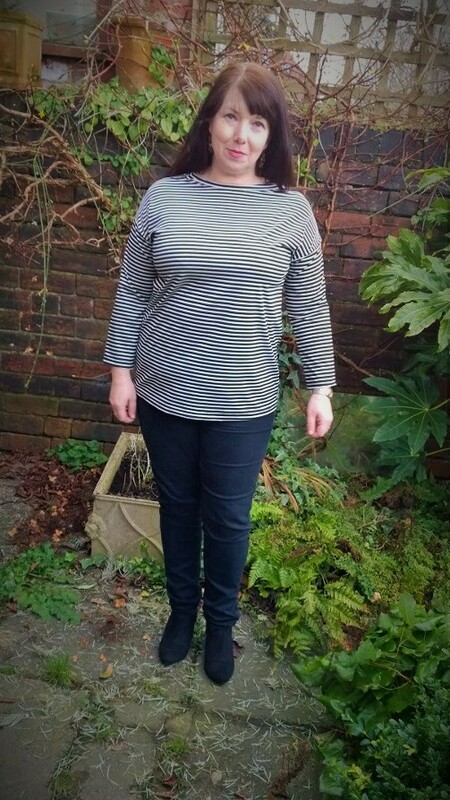 I do love a Breton top, makes me long for the warmer weather with Capri pants and deck shoes! You’re doing really well on your stocking up plan! I wish I wasn’t frightened of my overlocker! The elbow patches look really sweet – I wasn’t sure if I’d like them but they are a subtle detail which really works. Happy Sunday! You really shouldn’t be scared of your overlocker, it’ll completely revolutionise your sewing! Best thing to do is sit down with a big bag of scraps and just have a play until you get your confidence up! I so need a stripey hemlock in my wardrobe!! And I think I may have to add some more plantains too! They are both really nice patterns and even better because they are free! 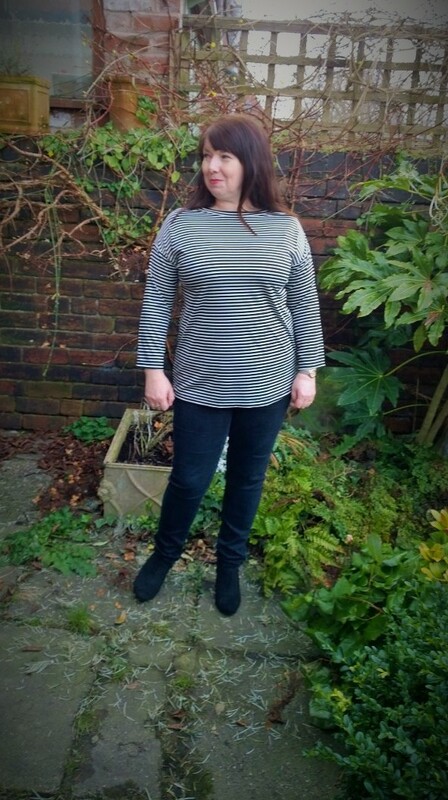 I have been really into making up basics recently as well – it has been good to help me get familiar with my overlocker. 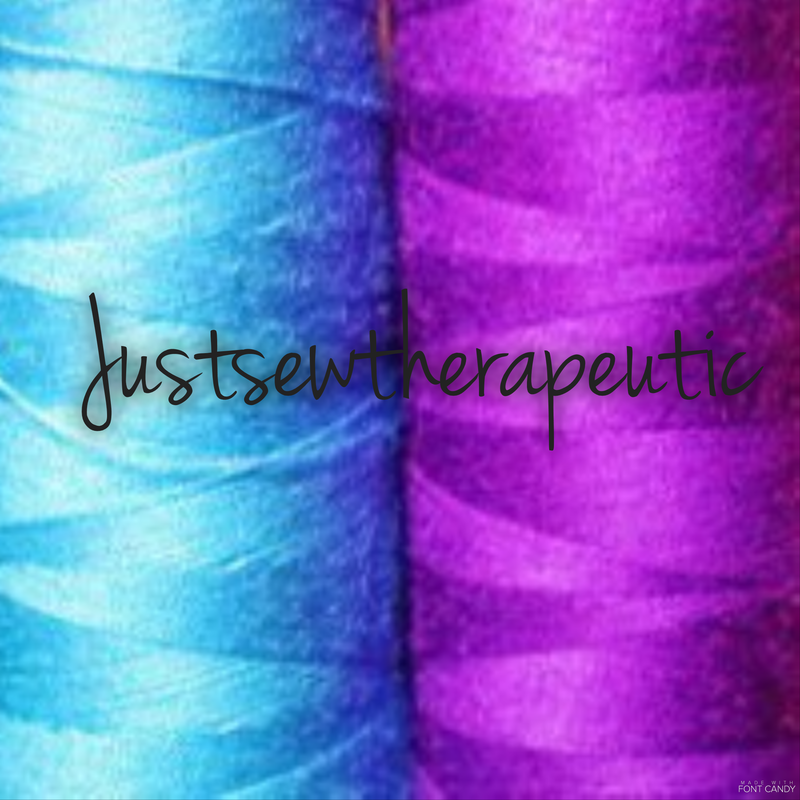 But I am ready for something a bit more involved and I just got some lovely new fabric in a greeny/blue which makes me feel very springy! I know exactly how you feel, it’s been nice having some quick results but I’m really itching to make some Spring dresses. I’ll be glad when March arrives, Spring sewing is my favourite time of year! I really like the elbow patches! 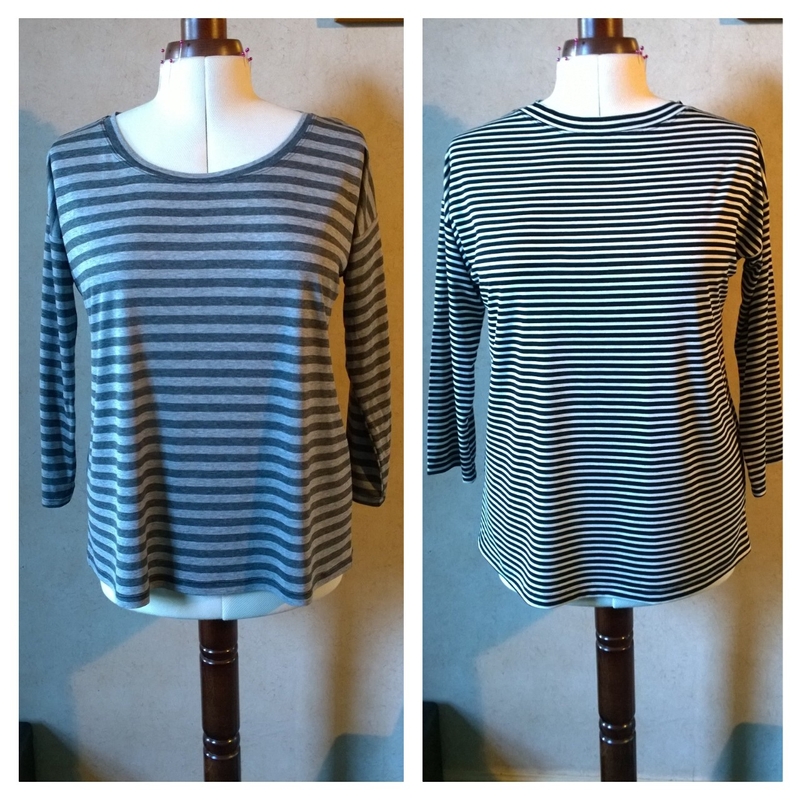 Fab tops, I especially love the stripes. I know how you feel, after my underwear marathon I am more than ready for a bit of proper sewing! 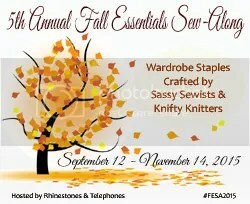 I’ve got too much winter sewing left to do before I can start on my spring though! It’s alway handy to have a favourite T pattern. I like the looseness of this one. Very nice!